The breeding pairs seem to be tolerating each other there has not been any aggression this month to warrant removing a pair. On the 22nd the birds began their ‘breeding diet’, which means mixed corn is removed and finely chopped heart added. This will be kept up until the end of August. 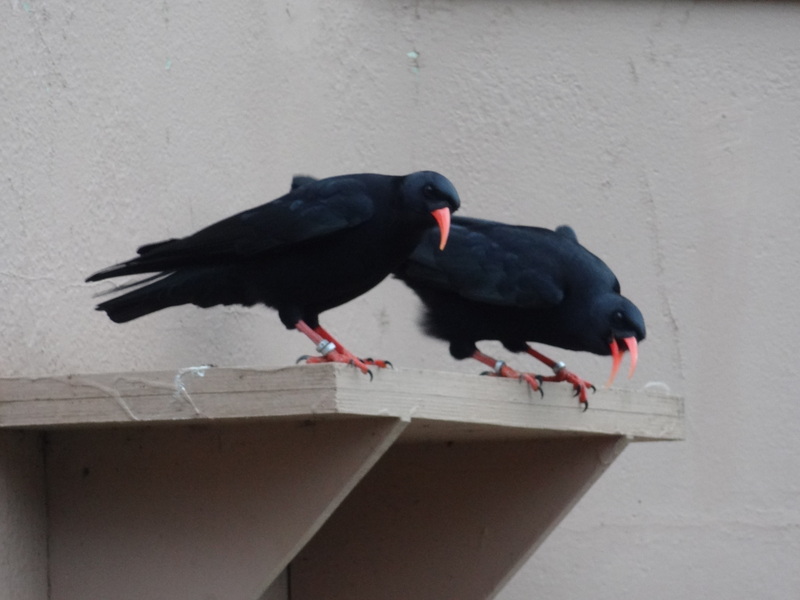 Building work began on the new chough breeding aviaries. 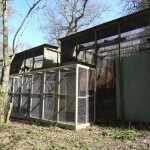 We now have two aviaries in Shep’s Field set up to maximise breeding potential. The nest-boxes have been fitted and are awaiting the installation of a camera to one and alteration to a hatch so we can open it. The cameras will then be wired up so we can view the footage on the network computers. This is likely to require laying underground a cable to the Orang-utan Building kitchen. 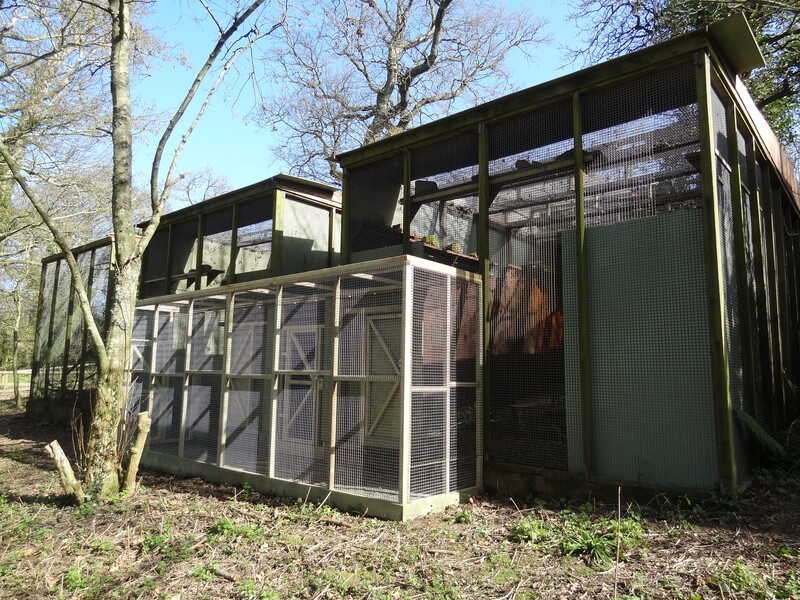 There are still a few ‘tweaks’ to do to make the breeding aviaries effective seclusion aviaries and a bit of interior design regarding substrate and enrichment. Otherwise all is on course for moving the birds in March. The birds in the display aviary are now more confident at coming down to the ground to feed. This is evident by the probing holes in the soil and barkchip. 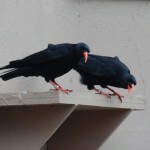 There is still tension between the adult pairs. To help simplify the situation when describing their relationships we have given the pairs names. The metal pair (B6694 ♂ and B6697 ♀) will now be known as Arthur and Gwinny respectively. The others (B6696 ♂ and B6695 ♀) have been named Tristan and Iseult respectively. The juveniles imported from Paradise Park in 2011 have started to form bonds and like to perch together in pairs. Green (♂) and yellow (♀) have often been seen preening each other. Likewise mauve (♂) and white (♀) will hang-out together. On occasion orange has been pushed out of the group and not allowed to perch next to the others. It will be interesting to see if this behaviour continues. Ps. A newt has been spotted in display aviary pond!